UPDATE | The following 12-minute report aired live on Channel 8 (Wood TV, NBC) in Grand Rapids on Monday night, August 8th. Click the link for the written report or scroll to halfway down that page to view the video, as reported by Ken Kolker. BREAKING NEWS | Wood TV is reporting that allegations against Ketcham were made to Ottowa County Sheriff in 2011 by a 1999 victim on US soil, but were never pursued. With the publication of the Pii Report there is new interest in those allegations and the statements made by the victim to police in 2011. Ottowa County Sheriff is currently investigating. Please read Michigan journalist Ken Kolker’s report HERE. ANNOUNCEMENT | It’s important that victims of Donn Ketcham know that ABWE is currently in the process of communicating with victims. OR contact ABWE headquarters directly. They ought to be willing to do the same. Choosing whether or not to have contact with ABWE is up to every individual victim, but every victim has the right to know this is happening and how to get the same information that other victims have been given and are being given at this time. If you are not a victim but know someone who is, please be sure they have this important information. BREAKING NEWS | The investigation into Donn Ketcham’s child abuse and ABWE’s mishandling is now available to the public. We want to warn you that the contents of the full 280-page report may be deeply disturbing to readers and are sometimes graphic, which may be triggering for abuse survivors. (Note: Victim’s names have been protected.) The brief executive summary is also available. Please see ABWE’s video, statement, and release of the partial (Executive Summary) report here and a place there to access the full 280-page report as well. We realize our opinion of the report will matter to some of you who are concerned that the victims feel heard by Pii and that ABWE’s actions and inaction were both examined closely by Pii. However, please understand that we are processing these 280 pages that cover events from the 1960s through the present on both an emotional as well as practical level and ask for your patience and prayers at this time. The victims who received the report (not all have received it yet) have had it for 8 days, which have been a roller coaster of emotions and tears for many of us, in part because it truly seemed this chapter of our story might never be written. This was a long, long time coming. Ketcham’s victims are grown women now—some are mothers, some are even grandmothers—and the wait for ABWE to act has been decades long. This blog was launched on March 11, 2011, and the Pii Report is dated March 11, 2016. To the faithful who have supported us for these five long years, we say a big thank you. You will never know what your kind words, encouragement, and loyalty meant to us. Note: In this important matter of the report, please understand we cannot speak for all of Ketcham’s victims and while we are in contact with many, we are limited in our reach. An important PS Regarding ABWE’s new-again and past claim that they terminated GRACE because of “concerns from victims/survivors,” they have never guaranteed to us that these individuals were without loyalties to ABWE or clear conflicts of interest because of still having family members working for ABWE. 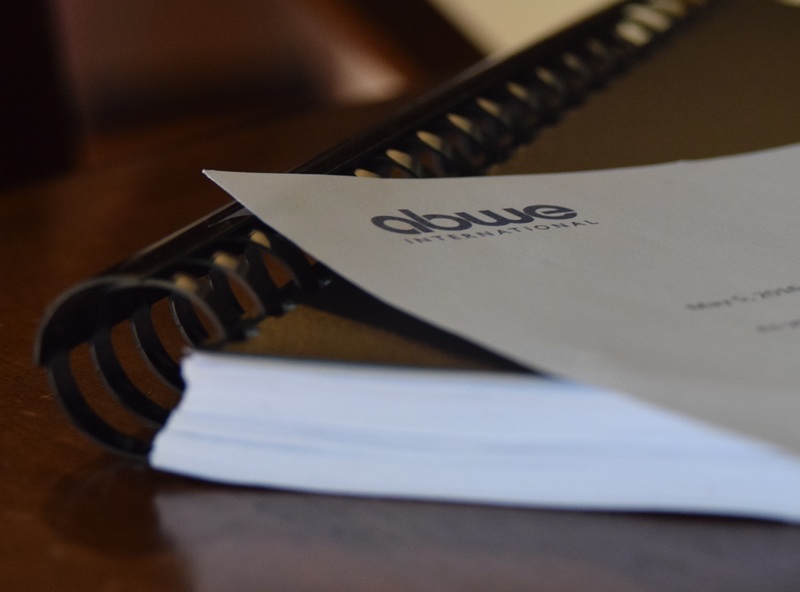 What’s more, in a typical fashion, ABWE failed to reach out to more victims at the time and hear if there were other perspectives before terminating GRACE in 2013. Additionally, ABWE was completely unresponsive to victim complaints and concerns regarding Pii, calling into question the veracity of ABWE’s claims in this matter. As Pii elaborates greatly on in the report, ABWE “obstructed and delayed” both GRACE’s investigation and theirs. Do not be fooled. Firing GRACE just weeks before they filed their report was about ABWE’s lack of cooperation and not whatever concerns may have been raised by victims. What’s more, ABWE first launched an investigation in 2011, so this has been five years for victims, not three as the video makes it sound. Despite my comment on the initial article, despite my two private emails to Kevin Eckstrom, editor-in-chief of RNS (Religion News Services), ABWE was remaining the unnamed “independent Baptist mission agency” in both of Sarah Pulliam Bailey’s articles on Bob Jones and GRACE. One small voice was not enough to be heard. But a lot of small voices raised in unison can sound like thunder. And apparently your voices raised in unison did! I’m writing to respond to the deluge of emails I’ve received from you in the past 24 hours about RNS coverage of Bob Jones and, indirectly, the ABWE. We always appreciate hearing from readers, even and especially when they think we’ve missed the mark. – I have asked my staff to insert the ABWE name into the articles you referenced. That has been done. – I can assure you that there is absolutely zero attempt on our part to protect or expose anyone, ABWE or otherwise. We are not, as some of you have alleged, trying to “protect their reputation” or “giving them the gift of anonymity” or “saying that the victims do not deserve or need justice.” Nothing could be further from the truth. – In fact, there was zero discussion on our staff about naming or not naming ABWE in our stories. Perhaps that was an oversight, but it was not an intentional one. In journalism — where space, deadline and staffing pressure loom large — some decisions are made for no particular reason. Both of these stories were written on tight deadlines with minimal staff, and the focus of the stories was meant to stay on Bob Jones; the ABWE was mentioned only in passing, and nothing more. – You should know we take your concerns seriously, and have responded appropriately. You should also know that RNS is the only mainstream media out with a paid writer (Boz Tchividjian) who is dedicated to writing about abuse in religious settings. So we take this matter seriously and respectfully. I believe we have addressed your concerns to the best of our ability, and now I would ask you to remove my personal email address from your website–on the Internet, that’s like listing your personal cell phone number for people to call at any hour of the night, and makes my inbox vulnerable to spam. First of all, friends, THANK YOU, THANK YOU, THANK YOU for that “deluge of emails”! Clearly my voice alone on multiple occasions was not enough to elicit any kind of response from RNS. It took the thunder of ALL our voices. Of course, this reality also leaves great questions about the sincerity of the editor’s remark that “concerns are taken seriously” when clearly it is only the concerns of a LOT of people that are taken seriously. Still, I’m grateful we were heard. So thank you, thank you, thank you again!! We have been promised that ABWE is now named in both articles. I hope that RNS has learned something about covering situations of abuse and that something that seems so insignificant to them is actually of huge significance to those involved. We are real people with real names and real stories. Evangelical journalism has a long, long way to go in its collective understanding of abuse and treatment of abuse scandals, but maybe this was one small step toward a better future. I’m so glad you were part of it with us. With Bob Jones University’s recent firing and then rehiring of GRACE several evangelical news outlets were once again remembering that precisely a year ago ABWE fired GRACE as well. We found it interesting and disturbing that in the first Religion News Services (RNS) article (Article 1), they did not name ABWE, but simply referred to them as “an independent Baptist missions agency.” They also linked to ABWE’s highly controversial and widely disputed statement regarding why they fired GRACE. The complaints we lodged were initially ignored. The general editor was contacted and emails were not returned. Then, after a week of efforts, the link to ABWE’s statement was finally removed, but ABWE was still not named. Well … you might be saying … it wasn’t intentional on the part of RNS or the article’s author. Right?? There is truly no reason in either RNS article NOT to name ABWE. It is a newsworthy matter and they were worth mentioning. Why weren’t they worth naming? Why aren’t the victims worth this small effort? RNS has chosen to be an active participant in ABWE’s reputation protection either because they deem ABWE and its victims to be unworthy of mention or because they are unaware of what a victory that kind of anonymity in the midst of scandal is for an agency like ABWE. RNS handed them a victory, whether they intended to or not and they dealt the victims a blow. We are not surprised. We are used to evangelical journalism turning a blind eye to ABWE. But we think that our voices deserve to be heard. WE ARE GRATEFUL FOR YOUR CONTINUED SUPPORT AND THANKFUL FOR THOSE WHO WILL TAKE THE TIME TO BE SURE RNS GETS THE MESSAGE LOUD AND CLEAR. We can be contacted via private message on our FACEBOOK page OR via EMAIL. American mission agency Association of Baptists for World Evangelism (ABWE; Penn. ), protected Dr. Donn Ketcham’s private and public reputation for over 20 years, by stating in writing and in private communication that he was dismissed from ABWE as a result of “moral failure” or adultery and by failing to report him to US authorities from 1989-2011, despite more past victims coming forward each decade and ABWE's knowledge of Dr. Ketcham's family practice in Allendale, MI. Additionally, ABWE tragically revictimized the victim who came forward in 1989 by accusing her (age 14) of adultery, while demonstrating extreme measures of care for her abuser.